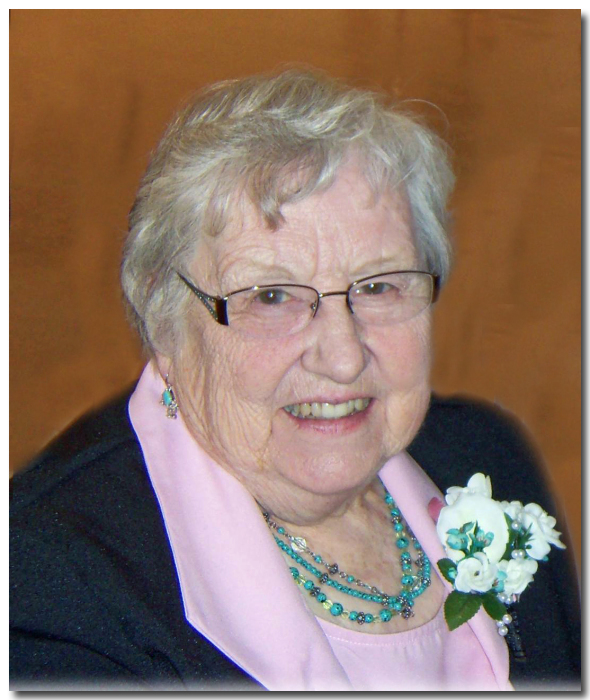 Evelyn Bock, age 89, passed away after a short stay at Heritage of Red Cloud, on the evening of March 27, 2019. Evelyn Mary Lorence was born on June 17, 1929, in Lebanon, Kansas to Edward A. Lorence and Elizabeth Mary Hajny. She graduated from Lebanon High School with the Class of 1947 and later attended secretarial school in Kansas City, before working for Dr. Wilbur “Doc” Bennett in Red Cloud, Nebraska. Evelyn married Donald M. Ohmstede on April 26, 1952 with whom she raised four children in the Guide Rock, Nebraska area. After Don’s early passage, she was married to Forest “Buzz” Bock on August 20, 1977 and they made their home in Lebanon, and later Smith Center, Kansas. Throughout her life, Evelyn was involved in her community and church through various organizations like the Blue Stocking Club, Hub Club, and Eastern Star. A loving wife, mother, grandmother, and great grandmother, she provided care for those around her. Evelyn enjoyed maintaining a small garden, watching martins take ﬂight from any number of bird houses in her back yard and the chatter of grandchildren during holiday visits. She is survived by her daughter, Peggy Bunger (Dave) of Bozeman, Montana, and their children Don (Paula) and Carrie (Matt Reynolds), and three sons: Terry Ohmstede (Renae) of Willard, Missouri and their sons Kalon and Morgen; Rod Ohmstede (Denise) of Smith Center, Kansas and his daughters Hannah Linn (Josh) and Carley; and Rick Ohmstede (Janelle) of Sugarland, Texas and their children Nicolas, Jordan and Brett. She is also survived by two great grandchildren, Carter Bunger and Nicole Linn. The family wishes to give special thanks to those that assisted in Evelyn’s care late in her life, including Smith County Memorial Hospital and Heritage of Red Cloud. Visitation will be Thursday, April 4, 2019 from 6:00 pm to 8:00 at the Williams Funeral Home in Red Cloud, Nebraska. A graveside service will be held at 1:00 pm on Friday, April 5 at the Guide Rock Cemetery, Guide Rock Nebraska.